The book starts slow, but quickly picks up once the story flashbacks to the protagonist growing up in late ’70s and early ’80s Afghanistan. Khaled Hosseini is a great writer. You’ll enjoy reading his style. The book has one of the best twists I’ve ever read. About a third of the way through, you will literally be shocked by a very grave revealing. Published in 2004, there is no bloated author introduction to be found. Yay! The book contains some awkward formatting. At times, Hosseini will bust into an italicized dream sequencee. It works on one occasion, but the other instances are confusing and poorly executed. 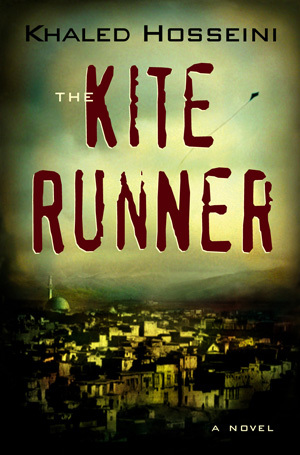 Similar to Out of Africa, I feel more cultured on Afghanistan after reading The Kite Runner than after reading or seeing any other book or movie on the country. For this reason alone, the book is worth reading. The first two-thirds are riveting. Things start to slow down a bit, but I was still engaged. I rolled my eyes, though, upon reading the final fight scene with the antagonist. It is laughable to say the least. Too much foreshadowing. I anticipated several developments in the second half of the book, spoiling my fun. I dislike how Hosseini introduces almost a dozen characters and neatly ties them together at the end, something I like to call perfect irony. It’s just too unbelievable for my tastes, even for a novel. Admittedly, I’m in the minority with my slightly negative review The Kite Runner, as I was with Wall-E. With more than 2,500 Amazon user reviews, the book has received an impressive 4.5/5 stars. How many stars would you give it? For great twist and awesome enlightenment of Afghanistan, I give it 3 stars.